A great album on many levels! The synth backing sounds a bit dated at times, but the strength of the songs and the beauty of her voice carry the day. Ah but the sound of the synth comes like an old friend when you’re of a certain age! Thanks for taking the time to comment – it is indeed a lovely album. 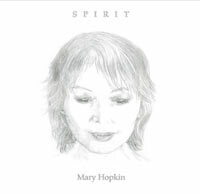 Here’s hoping for some new Hopkin sounds very soon!